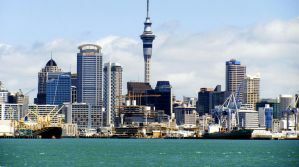 Auckland is the largest city in New Zealand. It is located on the North Island and is a great place to visit for a while. Auckland also has the largest airport in New Zealand making it a popular place to stop off as you arrive or leave the country. 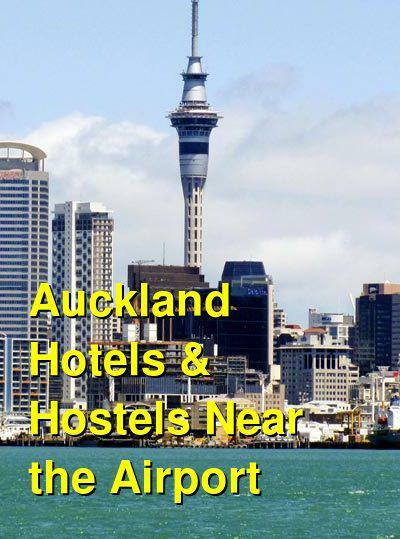 Because many people arrive or depart from Auckland, it is not uncommon for them to search for budget accommodation very close to the airport. There are a handful of good options, some of which are chain hotels while others are more independent. The airport is located 25 kilometers south of the city center and is 15 kilometers west of Manukau's city center. You can travel in to town from the airport by bus, shuttle van or taxi. This is one of the closest hostels to the airport. It has the traditional hostel environment and has dorms available to guests. There is a large living area that has a television, and there is a public kitchen and dining area. There are also outdoor areas with fruit trees where you can relax before or after your long flight. Perks available to guests include a 24 hour reception area, room service, laundry facilities, secure access, a travel information desk, airport pick up and drop off for $5.00, and breakfast. There's also an on site restaurant and bar where you can grab some food and a drink. The restaurant has a decent selection including local and international cuisine. This hotel is a good option for travelers who are just arriving or about to leave New Zealand. They have a shuttle to and from the airport that operates a flexible schedule. The cost is $5 per person. Reception is also open late for guests with late flights. There is also a kitchen and laundry service. If you don't feel like cooking your own meal, you're just a short walk from several restaurants including Greek and Indian options. You can take a bus from the hotel into central Auckland for about $6. The hotel offers a four bed dorm, twin rooms, and doubles. Bathrooms are shared. Other amenities include a lounge, television, and hot showers all day every day. The hotel is only five minutes from the airport and it is 50 minutes to the city center by bus. There are plenty of shops and restaurants just a short walk away. Not near the airport, admittedly, but close to the city center is this nice and social hostel with tons of benefits and amenities. Decked out with large televisions in their lounge areas, WiFi, new and modern rooms and bathrooms, a game room, hot showers and laundry, a full kitchen and a BBQ with an outdoor terrace... what else could you need? They also offer airport transfers if you need to make the trip. The friendly staff will help you plan your day in Auckland or help you get out into the rest of New Zealand as well.